What is a Board Certified Elder Law Attorney? Home » What is a Board Certified Elder Law Attorney? A board-certified Elder Law attorney is someone who has demonstrated an area of expertise in the field of elder law. This means that they've had to pass a very grueling certification exam and have passed a review of their colleagues and peers in the state of Florida. I am proud to say that I am a board-certified elder law attorney and have been since 2004. This means that I can actually call myself an expert in elder law. 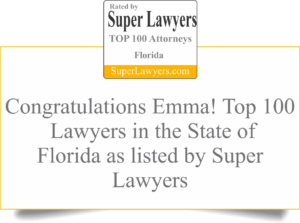 I share that distinction only about 100 elder law attorneys in the entire state of Florida.